(Also called Galloseulo, Gallosculo or Ibi). Hargy volcano contains one of the major calderas on New Britain Island. 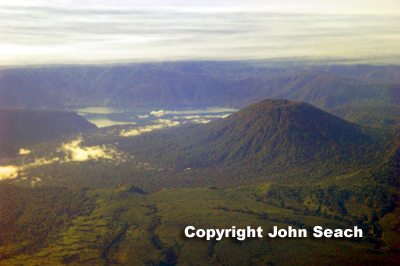 The caldera is 12km x 10km, and contains a lake on the SW side. Weak fumarolic emissions were noted from the SE side of the W summit crater during an overflight in early September 1990. The Galloseulo lava cone was last active 1000 years ago. Volcanoes of Papua New Guinea.